My June Popsugar Must Have box came the day after I looked at spoilers for the box. I suppose if I knew the box was arriving the next day I could have waited and it would have been a complete surprise, but I hadn't checked the tracking, oops. After seeing the spoilers I wasn't too excited about this box, but I was hoping I would have a better impression after seeing everything in person. 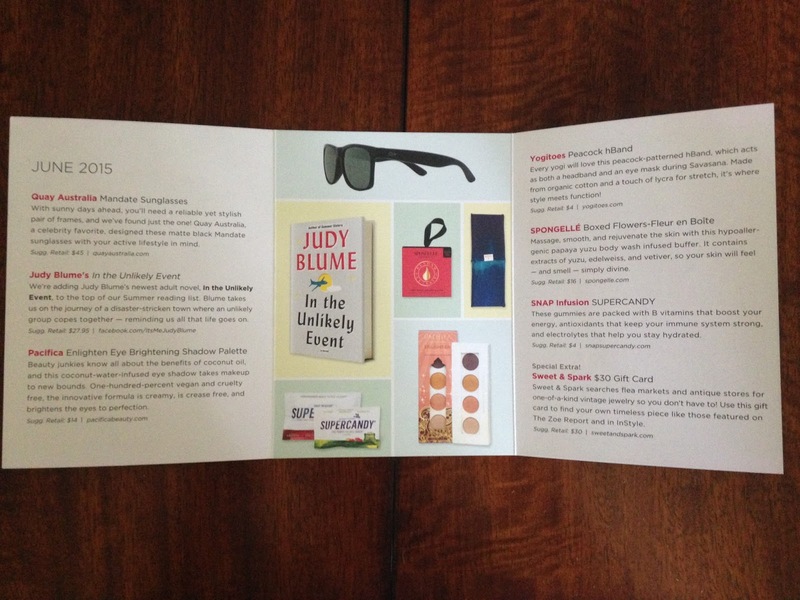 Popsugar always includes an information card explaining everything in the box. This month's inspirations were sun-kissed, soft skin, papaya, outdoor fun, coconut, and yoga warrior. 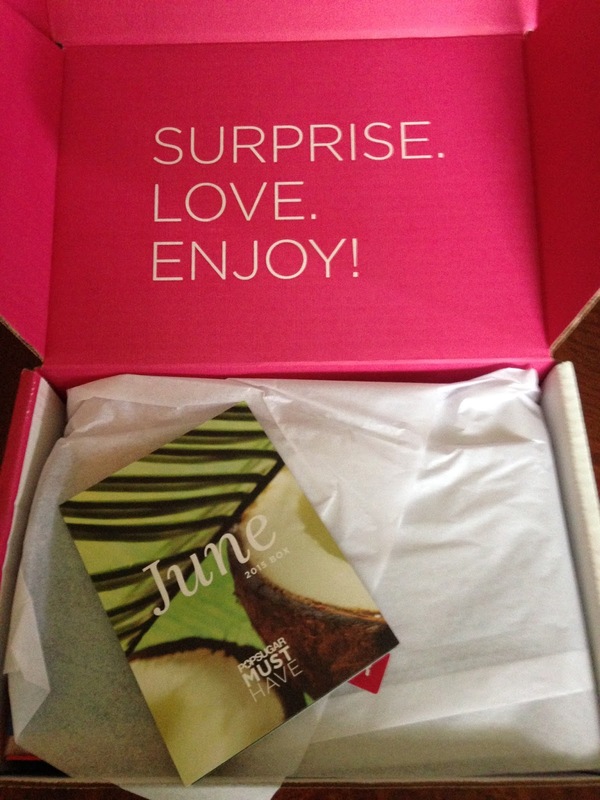 It sounds like a fun summery box! 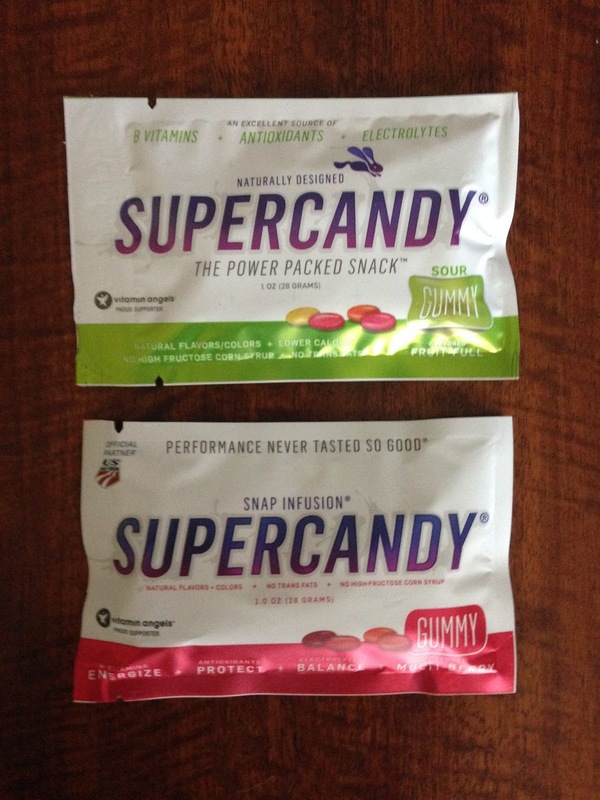 Here is the first peek into the box. 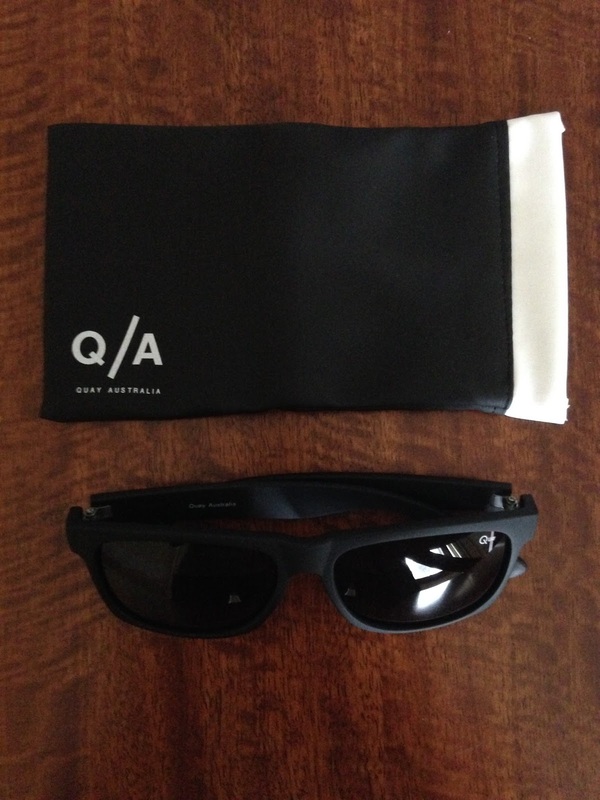 The first item included in the box was Quay Australia Mandate Sunglasses. 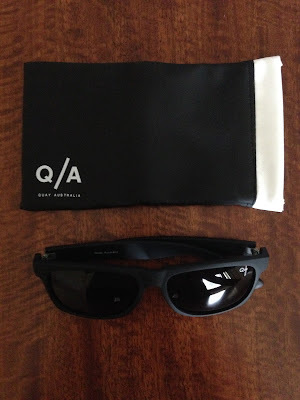 These are matte black sunglasses and they're really nice. I'm not sure if it's the dark color lenses and frames or the shape, but these just doesn't work on me. I'm sure I will find somebody that loves them though. 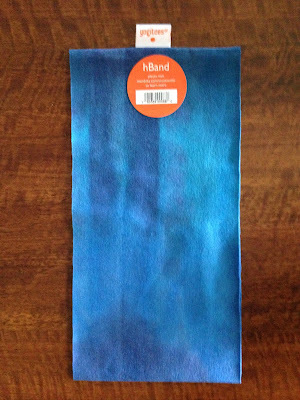 I love that Popsugar included a brand I had never heard of, I just wish they would have been a lighter, fun, summery color! 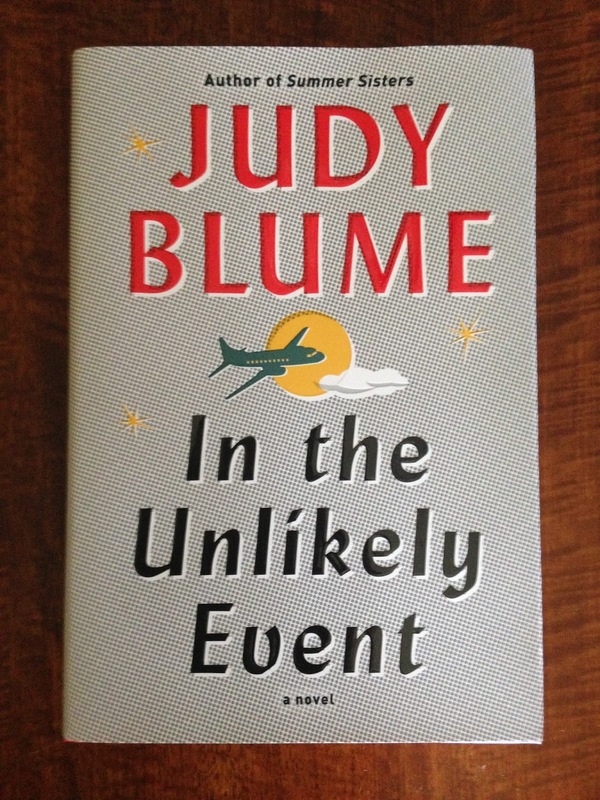 The next item included was Judy Blume's "In the Unlikely Event". This is a new book about a disaster stricken town in which an unlikely group copes together. I'm not much of a reader and if I do read, I prefer a happy story. I'm not sure if I'll read a bit to see what I think or just pass it on to someone that would enjoy it. I also received Pacifica Enlighten Eye Brightening Shadow Palette. This eye shadow is infused with coconut water and is vegan and cruelty free. I'm not sure I'm too crazy about the colors included for my skin tone. 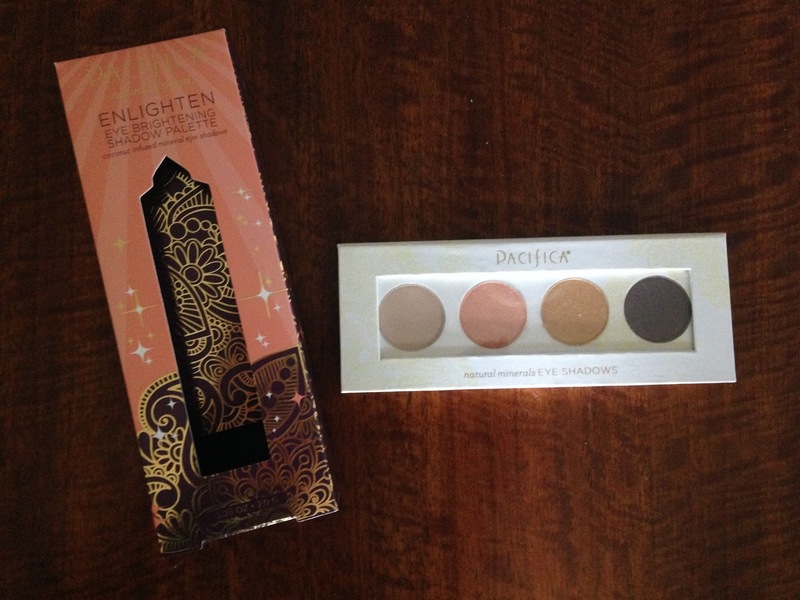 I think they'd look amazing on beautiful tanned skin, but unfortunately I stay very pale year round, so I don't think this palette will flatter my skin. The Yogitoes Peacock hBand can be used as a headband or eye mask according to the information card. I'll probably just use it when I'm bumming around the house or as a headband in the morning when I apply my make-up. 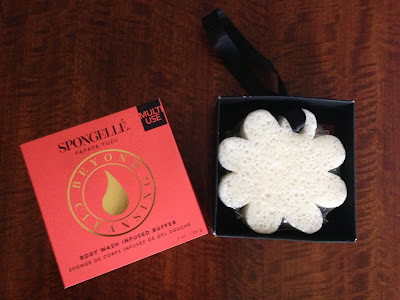 The Spongelle Boxed Flowers-Fleur en Boite was my favorite item in this month's box. It's different and like nothing I've used before. It's a papaya yuzu body wash infused buffer. It smells great and looks fun to use too. I love the cute flower shape! Popsugar always manages to introduce me to skin care and body products that I end up falling in love with and adding to my daily routine. This just might be another! The final item included was Snap Infusion Super Candy. 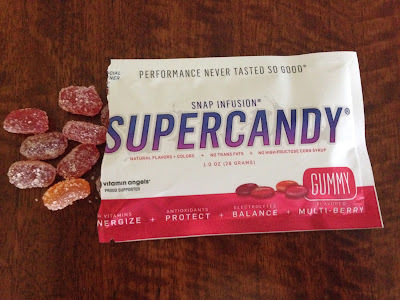 These are gummy candies packed with B vitamins that boost energy, antioxidants to keep your immune system strong, and electrolytes to keep you hydrated. My daughter wanted to open these as soon as she saw them, so we shared some right after taking the pictures! They were yummy!!! There was a special extra included this month also. It was a $30 Gift Card for Sweet & Spark. 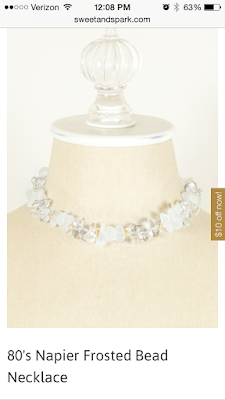 The website sells one of a kind vintage jewelry. 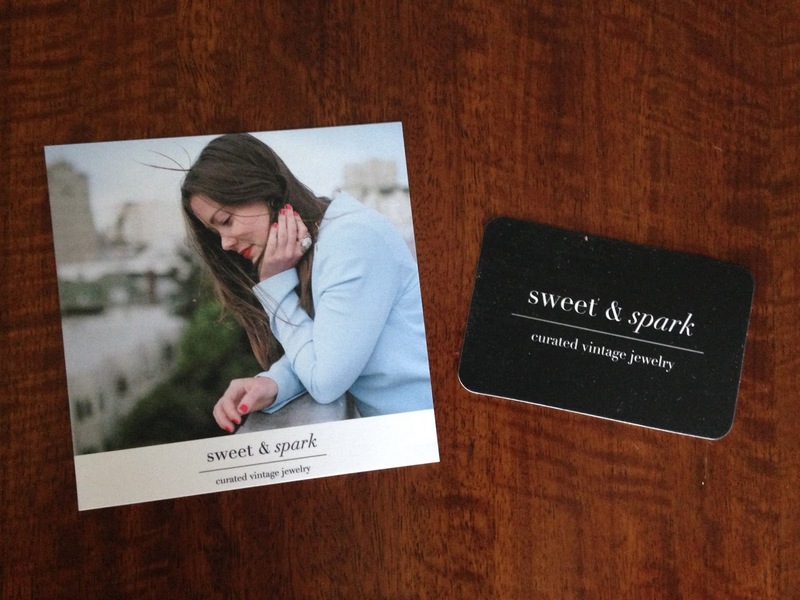 I can't resist jewelry or a great deal. 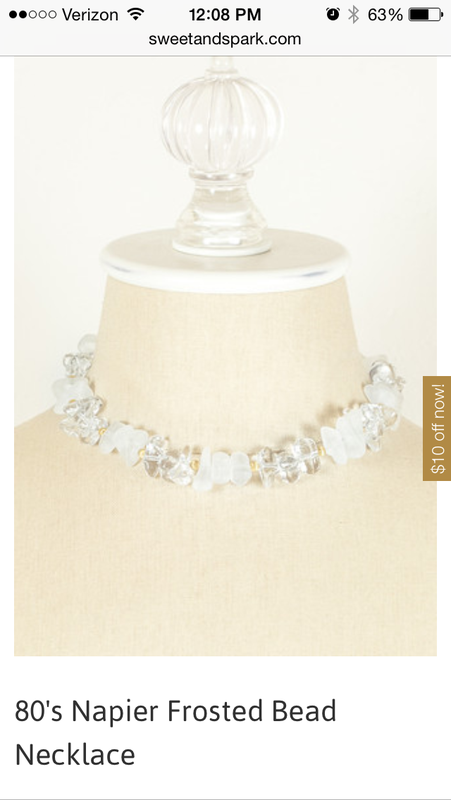 I already ordered the pretty necklace pictured below! I think it will look great with everything!!! And even if you're not a Popsugar subscriber, the site offers $10 off to new customers when you sign up with your e-mail. 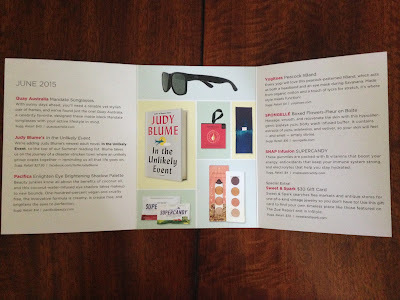 This month's Popsugar box had a few items I liked, but the higher value items included in the box weren't really for me. The paste few boxes have been amazing, so I'm not surprised that this one missed the mark for me. I'm sure others loved it, and I'm sure whoever I gift my items to will love them too. The value of this box is still amazing and though these items weren't my taste, this box is still definitely worth the cost and I will continue subscribing. 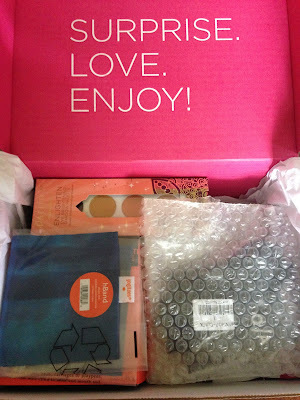 I think I'm just ready for some bright colors and pop items to be included in this box for summer. They really do include a lot of blue and neutral, but I'd love to see some more color!! !